He is the god of art, poetry, and music, playing a golden lyre. Apollo was also the god of prophecy and medicine. He favors knowledge and learning. Both scientific and mythical. Apollo, the Greek God He is famous for his oracle at Delphi. People traveled to it from all over the Greek world to Devinne the future. This was his most important oracle. It was placed at the site where he defeated Python, a monstrous, legendary serpent. The lord of the silver bow, which he used to slay the serpent. 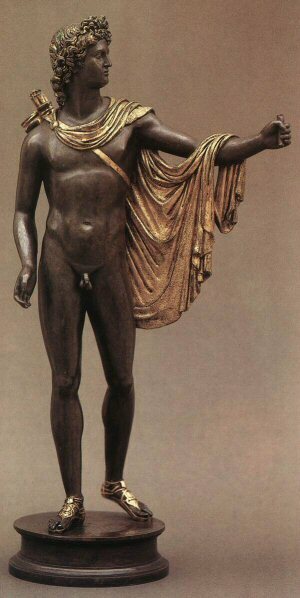 Apollo was also a skilled archer with the credit of being the first victor of the Olympian Games held at Olympia. One of Apollo's more important daily tasks is to harness his chariot with four horses an drive the Sun across the sky. Thus, he is the god of light.